If, like us, you can’t remember life before the Great British Bake Off, don’t worry, we’ve found a way struggling through the impending months of mundanity – Great British Bake Off cookbooks *cue sigh of relief*. Although we can’t give you a comedy duo making inappropriate baking innuendos with Mary Berry or Ruby’s ‘I can’t believe I’m good at baking’ face. What we can give you is the best 8 GBBO cookbooks to fill the void with the only thing that matter – cakes, and lots of them. From last year’s winner John Whaite to Mary Berry herself, we’ve rounded up the best of the GBBO cookbooks to see you through every baking option there is. Biscuits, sweet breads, pastries, you name it, they’ve covered it, so if you’ve feeling the GBBO blues, just take a browse and life will be Britishness and bunting again in no time. Baking bread isn't as simple as it sounds, or looks actually as we've seen on our screens for the last 12 weeks. Thankfully James guides you expertly through every part of the bread baking process making sure you've got your proving skills perfected and end with crusts as thick as Sue's specs. The imagery is beautiful and the instructions are simple to follow, perfect for beginners and intermediate bakers alike. He’ll guide you through pretzels, stone bakes, focaccia, doughnuts, sourdoughs and a whole load more. He's also handy on Twitter for anything you need to clarify. Lets not forget, his face features in it too - big bonus. 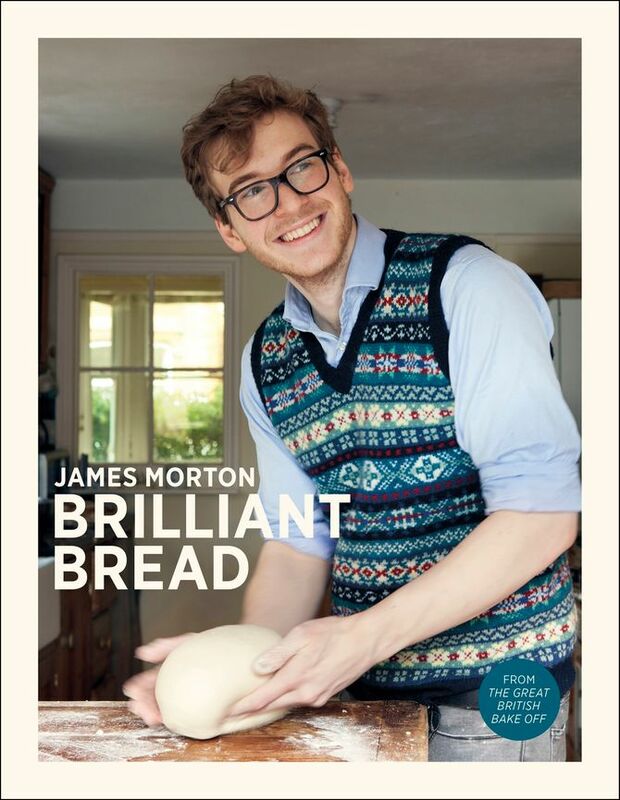 Brilliant Bread by James Morton, £10.00, Amazon. Described as ‘the only baking book you will ever need’, Mary Berry’s Baking Bible makes a pretty tall order – but does the Queen of the Bake deliver? You can bet your last British brew she does. The recipes are wholesome, classic, and simple to follow (though some are quite technical), basically giving you the exact combination of effortless looking, impressive cakes you’d expect from Berry. Our faves were a drool-worthy Lemon drizzle, a stunning French apple tart and a pretty mean Victoria Sponge. After cooking from the Bible, we can help but think we’d happily live in a world where we all worshipped Mez Bez. Mary Berry’s Baking Bible, £12.50, Amazon. We hate to admit it, but after purchasing this book, it’s pretty hard not to be won over by lothario of loaves, Paul Hollywood. The overall layout of the book is brilliant, and if you’re not hungry beforehand you certainly will be after a quick flick through. There are picture lead instructions for things too complicated to simply write about and a good variety of bakes including yeasted doughs, breads, cakes, bakes and pastries – you said wanted to know how to bake? Well, Hollywood’s book is going to do it’s best to teach you. How to Bake, Paul Hollywood £9.00, Amazon. Despite his controversial win, John Whaite’s book was one of our most eagerly awaited titles from the GBBO series, and it didn’t disappoint. Look past it’s slightly twee name, this book isn’t your usual cookbook. Broken down into bakes for moods including ‘Deepest Darkest Desires’, ‘Calming A Bag Of Nerves’ and our favourite, ‘Happy Hour’, this book manages to genuinely stand out from all the other baking titles. The selection of recipes themselves are nothing too out of the ordinary, but John's addition of surprising ingredients when you least expect them do give your bakes a boost. The images are sleek and the majority of bakes are accompanied by what they’re supposed to look like. They also vary from simple to more complex recipes, and your classic bakes to more show-stopping evening pieces - as the title suggests, there really is something for everyone. John Whaite Bakes: Recipes for Every Day and Every Mood by John Whaite, £9.00, Amazon. If you want to bake GBBO style, you’ve got to go for the show-stoppers. So having the The Great British Bake Off: How to Turn Everyday Bakes into Showstoppers in your arsenal will go a long way. Lots of the recipes are taken straight from the show, (the cheeky pics of Brendan alone are a reason to buy it) and it even shows you how to make things like spun sugar, edible flowers, chocolate curls and finish your bakes to show-stopping standard. However despite being one of the most enjoyable books, we do have one small complaint. If you’re a baking fan who eats with your eyes get ready to be disappointed, about half of the recipes don’t have images. #Foodporn it is not. Great British Bake Off, How to Turn Everyday Bakes into Showstoppers, £9.00, Amazon. Edd Kimber, remember him? He’s the original GBBO winner and despite his title, it’s this first foray into baking books, that’s his real crowning glory. Filled to the brim with delicious looking images and traditional bakes with a Kimber twist, this book is all about making baking fun and accessible to all. For all you lazy bakers out there (yep, guilty) Edd gives hints and tips on how to save time without compromising taste – win. We expect the Nutella and Banana Bites are going to quickly become a guilty pleasure. The Boy Who Bakes by Edd Kimber, £9.00 Amazon. Getting the post Bake-Off blues already? This book will see you through. Filled with over 100 recipes from season 4 you can get your fix of Frances, Rubz and the crew on a daily basis. Great British Bake Off Everyday: Over 100 Foolproof Bakes - £9.00 Amazon. We didn’t realise the biscuit world was so big, but believe us, Browne’s book will open doors. When baking your way through this book you’ll quickly realise she wowed the judges with her biscuit knowledge for good reason – so put the kettle on and get ready to dunk in style. The book covers a range of bakes, with tips tailored for beginners and more experienced bakers. Expect savoury biscuits, sweetie biscuits, scooped, pressed and rolled biscuits all explained neatly and triple-tested for guaranteed success. Basically if it’s a biscuit you’re after, this is the only book you need. We’ve realised a lot of baking books overlook the humble biscuit, and really when we’re talking British baking, what could fit the bill more than a simple jammy dodger? A definite worthwhile buy. ​We leave you with the only question left to ask: WHEN ELSE WILL THERE BE THAT MUCH TEA ON TV? 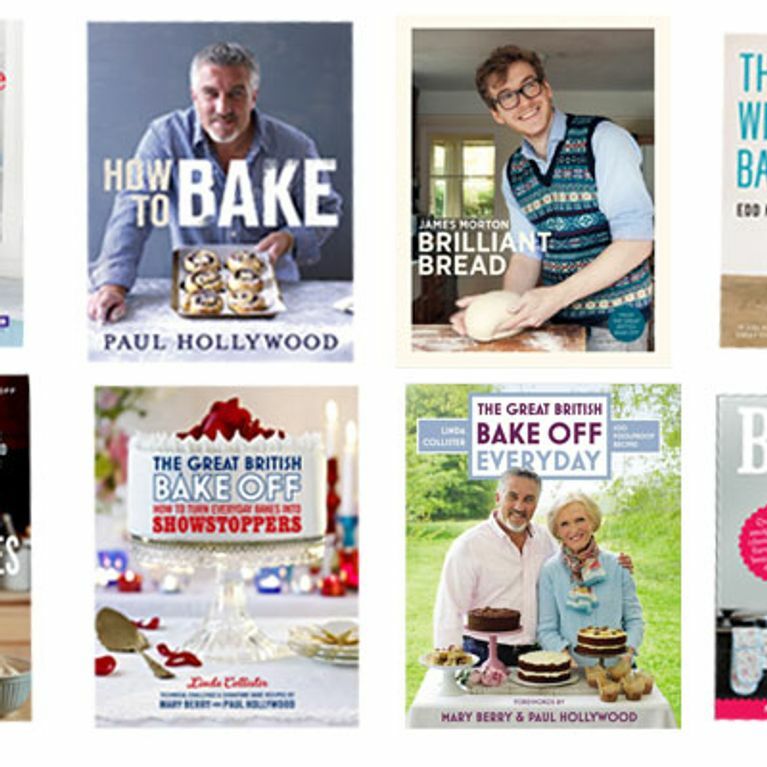 Tempted by any of these baking books? Tweet us your fave at @sofeminineuk.